I played the Wii for the first time at a trade show in Leipzig, Germany. The consoles were set up in tents, shielded from outside view. Standing in the queue, you’d watch people lift the folds of material in front of the entrance, walk in, then walk out with huge smiles on their faces after about ten minutes. (I’ll spare you the jokes we were making about what might be in there.) When my turn eventually came, I was paired with a German businessman in a grey suit. Two Nintendo reps in white stood guard inside the dim tent, at either side of the screen, like gleaming fun-sentinels. The remote was pressed into my hand, and we were in front of Wii Sports Tennis, the poster-child of the motion control revolution. Our first swings were tentative. I was still extremely sceptical that the Wii would actually work. When it was announced at the previous Tokyo Game Show, my co-workers had laughed in derision as we watched the videos of people waving that remote around to Mario sound-effects. “That’s it, Nintendo’s over,” I remember one of them saying. At that point the DS had yet to take off, and we were coming off the back of the Gamecube’s failure to make a dent in the Playstation 2’s astonishing success. People were gleefully writing Nintendo off, back then, rather like many people are now. I’ve learned, since, that this stuff comes in cycles. It took less than 30 seconds for Wii Sports Tennis to convince me that it did work, and that it was a lot of fun. I was really enjoying myself. But it wasn’t my reaction that made me think we might be looking at the start of something really interesting - it was my German partner’s. He was having a whale of a time, his grey suit-jacket flapping in the wind as he swung his virtual tennis racquet with unexpected enthusiasm. You see these guys at game conventions all the time, there to Make Deals and Look at Graphs and do whatever else it is that business people do, and they look like they have never played a video game in their lives. Yet here he was, having an excellent time. It made me think that the Wii might be a bigger deal than any of us expected. The Wii did turn out to be a revolution. Wii Sports, particularly, is one of the most important games in history. Years later, both Microsoft and Sony followed with their own motion-control devices, bringing their own flagship games with them and pouring money into their development and marketing. Now, though, as the Wii’s successor languishes and Microsoft decides that perhaps Kinect isn’t such an integral part of the Xbox One experience after all, it looks like it was perhaps a temporary revolution. Motion control changed the face of gaming, but is it over now? Is this the end? It’s an interesting fact about motion control games that although the devices themselves have sold like crazy, breaking records in several countries in the Wii and Kinect’s case, only a tiny proportion of the games have done the same. On the Wii, Wii Sports and Just Dance were gigantic mega-hits, but other motion games like Red Steel and Silent Hill: Shattered Memories sunk without trace. Of its 20 best-selling games, only one—Just Dance—was developed by somebody other than Nintendo. On Kinect, the bundled Sports and Adventures games were the success stories, but every other Kinect-exclusive game absolutely tanked, from Child of Eden to Fable: The Journey. Dance Central sold 2.5 million copies, but its two sequels got nowhere near that. As for Move, it evidently sold 15 million units, but only 35 Move-exclusive games were ever released, and 23 of those were published by Sony. I dread to think what games like Sorcery actually sold. For years we had a strange situation where motion control devices were massively successful, but absolutely nobody was making games that took advantage of them. The drop-off for motion-centric games on the Wii started just a few years after it was released; before long, the only games being released for the system were Nintendo’s own. The Wii MotionPlus add-on, meanwhile, only caused more problems for developers: only a teensy number of Wii owners were MotionPlus owners, and any game made to take advantage of it would be selling to a small percentage of an audience that had already proven that it was not particularly interested. Why did this happen? Did all those millions people who bought the Kinect and the Wii not realise that there were other games available besides those that were bundled? Did they have their fun with Wii Sports and Kinect Adventures and decide that was enough, thanks? Or did they not actually enjoy playing motion games enough to buy another one? I think the basic answer is that developers found themselves in a double bind that meant interesting motion control games just didn’t get made. Motion control might have vastly expanded the gaming audience at one point, but it also arguably split it down the middle into casual and non-casual players. Developers who made ambitious motion-control games found themselves with nobody to sell to. Non-casual players pretty much hated motion control (they still do - just look at the reaction to yesterday’s Kinect news) and weren’t interested in buying games that used it, whereas casual players weren’t aware of or necessarily interested more complex games than the bundled ones. Motion devices are also notoriously difficult to develop for, as was obvious both from the general quality of them and from speaking to developers over the years. Nobody, with the possible exception of Nintendo, has ever really had the opportunity to get the best out of it. Third-party developers did not have the access to the tools and internal research that Sony, Microsoft and Nintendo could provide to their teams, even when great efforts were made to help out. After more than five years, there is still no universal language for motion control, no consensus as to how it should be approached. Studios like Harmonix, which have worked with Kinect for years and have learned how to get good results out of it, would lament the loss of motion control. Almost no other developer would. In the beginning, motion control was successful because it was easy to use and understand. But touch is easy to use and understand, too - even easier. 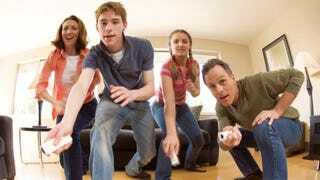 Now it’s iPads and smartphones that are opening the eyes of the non-gaming world to the possibilities of video games. Not expensive cameras and motion wands. Now that Microsoft has de-coupled the Xbox One and Kinect, it seems that will never be a future that developers of motion-control games can count on.